Sai Pallavi, the debutante actress who essayed the character Malar in the recent blockbuster Premam, is on a high with the success of the movie. The audience has wholeheartedly accepted college lecturer Malar. 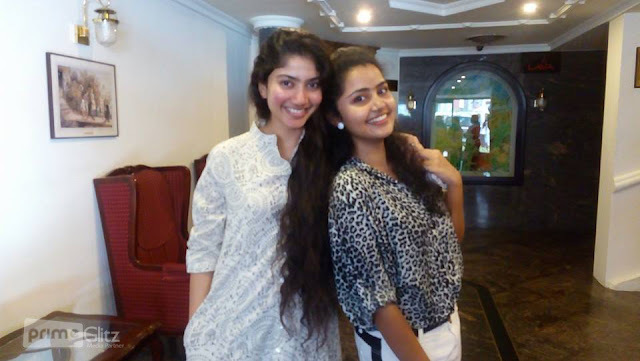 Interestingly, Sai Pallavi is a doctor by profession and currently pursuing higher studies at Georgia. She is also a brilliant dancer and has participated in some highly popular dance reality shows. The actress hails from Kottagiri of Neelagiri district Tamil Nadu. According to Sai Pallavi, she was reluctant to accept such a great offer, as she was not very confident about her looks and language skills. Director Alphonse Puthren spotted Sai Pallavi in an advertisement and immediately decided to cast her in the role. The actress, who is planning to be active in movies, is following her passion during the vacation times. Sai Pallavi has made a mark as Malar, with her brilliant acting & dancing skills and exceptional voice. Premam has reformed the cliched love stories of M'town, by beautifully portraying the romance between a student and teacher. Nivin Pauly essays the central role in the movie, which has already emerged as the blockbuster of the season. Premam has three leading ladies including Anupama Parameshwaran, Sai Pallavi and Madonna Sebastian.